New data from market research company Gartner depicts a strong third quarter 2018 for Chinese manufacturers Huawei and Xiaomi. Both companies managed to increase their global smartphone market share from 3Q17, whilst the big hitters Apple and Samsung have experienced flat growth and considerably diminished market share, respectively. Overall worldwide smartphone sales have risen by 1.4%. 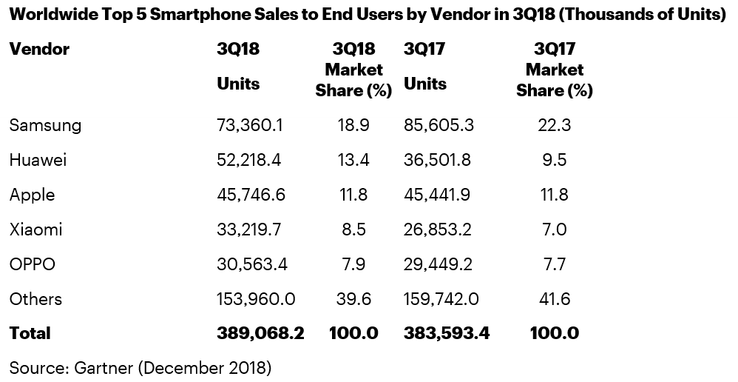 Gartner has produced a report about the top five vendors in terms of worldwide smartphone sales for the third quarter of 2018 (3Q18). Samsung still leads the pack, with nearly 73.4 million sales and 18.9% market share. However, the South Korean company’s figures are demonstrably poorer than their 2017 counterparts: 85.6 million units sold and 22.3% market share. 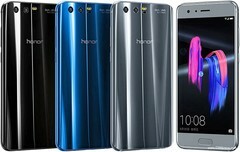 In second position and coming up strongly is Huawei. 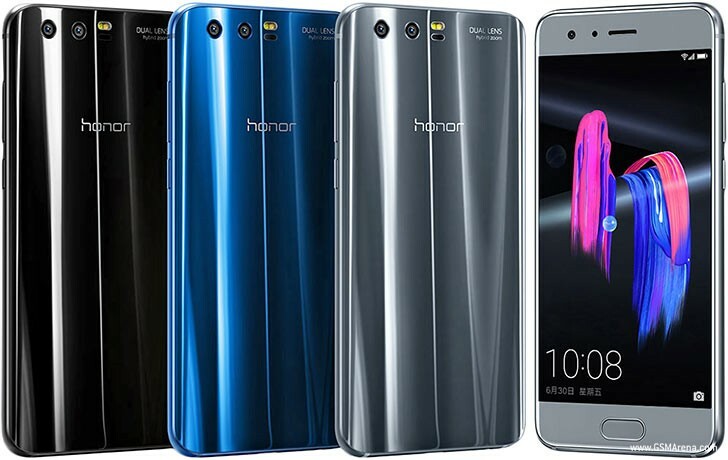 The Shenzhen-based firm has improved on 2017’s results, going from 36.5 million sales (9.5% share) to 52.2 million (13.4%) in 2018. As has been previously reported, Huawei has managed to leapfrog Apple in the top vendors table, and it seems Samsung is now firmly in the company’s sights. Apple has remained stable with an 11.8% share and around 45 million sales, while Xiaomi has also been flying the flag for China by increasing both its share and sales. Another Chinese company, Oppo, has occupied fifth place but it has not enjoyed the same upward movement as Huawei and Xiaomi. The analysts at Gartner have offered several reasons for the current state of the table. Apple’s target market seems to be saturated and Samsung has not managed to set the world alight with its S9 series. Meanwhile, Xiaomi and Huawei have been pushing into emerging markets and are offering attractive ranges of entry-level and mid-range devices that come with respectable specifications. The research firm expects data for 2019 to be affected by foldable smartphones and the onset of the 5G mobile telecommunications standard, but it also forecasts decelerating global sales. Over 389 million smartphones were sold in 3Q18, compared to around 383.5 million in 3Q17.